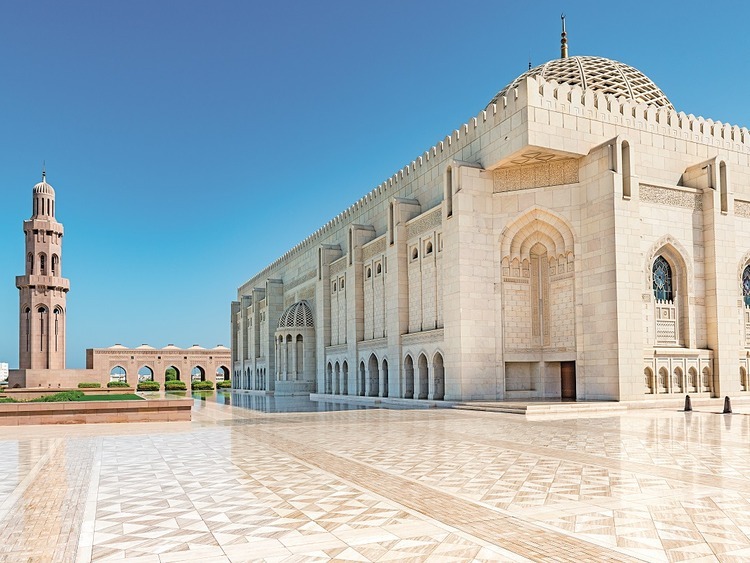 An evocative excursion in search of the treasures of Muscat and the Amouage, a well-known perfume factory. An evocative excursion in search of the treasures of Muscat and the Amouage, a well-known perfume factory. Leaving the port of Mina Qaboos, we will enter the heart of Muscat, home to the Sultan Qaboos Grand Mosque, an important religious and cultural centre whose scientific and intellectual influence radiates throughout the Muslim world. The interior is decorated with artistic motifs reminiscent of architectural and cultural styles from around the world, from Andalusia to China. The mosque’s exterior is decorated with holy verses, carved to an incredible depth of two centimetres to ensure their relevance endures. Our next stop is the Amouage, a luxury perfumery founded in Oman in 1983. Amouage is also the name of the first and most prestigious perfume created by the company the following year. A luxury niche perfume brand, Amouage draws its inspiration from the charm of the Sultanate of Oman, instilling all the richness and variety of Oman’s cultural heritage into its sensual fragrances. After visiting the Amouage, we will continue on to the Bait Adam Museum, located on the ground floor of a private house, where we will be able to spend time talking to the owner and admiring his unique collection of*coins, paintings, photographs, pistols* and much more. On arrival, we will be welcomed warmly and offered an Arabic coffee with delicious dates, while the head of the family will talk to us in detail about life in Oman from antiquity to the present day, religious festivals and the month of Ramadan. Finally, we will travel along La Corniche, the city’s captivating coast road. We will eventually reach the souk (old market) in Muttrah, a fascinating blend of ancient and modern surrounded by beautiful merchants’ houses dating back to the 18th century. We will spend an hour shopping before retuning to the port of Mina Qaboos. Appropriate clothing is required in respect of the culture of the visited country. The order of the itinerary may vary. The number of places available is limited; it is therefore advisable to book in advance. At the souk dollars are accepted. For the entrance to the mosque, it is mandatory to wear a clothing suitable for worship places. In particular, the regulation stipulates that ladies must cover their heads with a scarf and / or shawl, wear long and loose trousers that cover their ankles and long sleeve dresses covering their wrists, avoid wearing shorts, beachwear, sleeveless dresses and adherent and / or transparent clothes and that ladies should wear long trousers and short-sleeved and / or long sleeved and avoid sleeveless tops. Finally, to get into the mosque, you have to take off your shoes. It is essential to abide by this regulation in order to prevent the entrance to the mosque being denied. Also, let's know that children under 12 are not allowed to enter the mosque. Explanations within the Bait Adam Museum are provided in English.